I’m a freelance app developer for my own company, Dodo Apps. How did you make the transition from full-time education to working in your sector? My degree was in Politics and Philosophy so it shouldn’t have been a straightforward transition into the development industry. However, a few months after graduating, I found an advert for a job on Gumtree, interviewed in London, and then was given the job the day after. Describe your career progression to date. How did you make progress after getting your foot in the door? It was around that time (early-2009) that the App Store was gaining traction and I was starting to tinker with iOS development in my spare time. I made the decision to quit my job and go freelance and I’ve been doing it ever since. The actual step of going freelance was as simple as buying 2 books on app development (which were leaving presents from my previous job) and updating my website where I was already doing a bit of web development freelance on the side. My “big break” happened a few weeks later when Channel 4 asked me to appear on the Gadget Show and build an app for them - I agreed (despite having no clue what I was doing) and that helped me get more hits to my website and pick up some big clients like Sainsburys. Since leaving full-time education, have you pursued any professional qualifications? Do you need to in order to succeed in your sector? I’m often keen to go out and get some more qualifications but I don’t need them. My degree is in Politics and Philosophy but I’ve never lost a client because I wasn’t qualified - a good portfolio to show you have the skills is worth more than any qualification. I work from home, so my day tends to vary massively depending on my mood so I’ll describe the ideal I shoot for. My wife has to head off to work at around 7am, so we typically get up just after 6am. As soon as she’s gone and I’ve finished clearing up breakfast, I’ll head into my home office and try and get a few development tasks done for my current client before checking email. I’ll typically break at around 9-10am to check email and update my todo list for the day and then I’ll continue on coding until lunchtime. I like to get out of the house every day and so I’ll usually go for a walk after lunch and then do any non-development tasks that need doing; I tend to be tired in the afternoons so I get easier stuff done like replying to emails, doing my accounts etc - it’s not a good idea to do coding when you’re tired! My wife will get home around 5pm so I typically stop work at 4pm and play on the Xbox for a bit before she gets back. When I had an online game that I managed (WallaBee), I used to work pretty much every evening and at weekends as most of my players were based in the US. Since I sold that business, I strictly do work from 7am-4pm on weekdays and I rarely check or reply to email outside of those hours. It has been a huge improvement to have that work/life balance back and means I typically get more done in my working hours as I’m refreshed. What qualities are needed to succeed in your sector? There are two key things in my opinion; creativity and good time keeping. Developers need to be incredibly logical, but I find that you’ll do better the more creative you are, as you’ll typically find solutions to problems more quickly (and the majority of development work is problem solving). Good time keeping is essential, especially as a freelancer, as you need to be able to accurately say how long something will take so you can get paid fairly but also so you don’t end up with more work than you can actually do. Do you have any experience interviewing candidates for roles? What do you look for when employing people? As a Development Manager, I interviewed around 150 people (70 of them for one job). I only look for one thing in an interview; potential. Development is a rapidly evolving business and so the way that things are done can change quickly; I always wanted to hire people who could adapt and that wanted to learn rather than those that looked good on paper but then were stuck doing something a certain way. In 3 years, I don’t think I ever hired someone with a degree in Computer Science for that reason. What qualifications do people in your sector typically have? Most people will have a degree in Computer Science (or similar) but I think this is pointless. Most institutions will be teaching something that is already several years old and buy the time you come to get a job the technology will be outdated. I personally prefer to hire interesting people that have a lot of extra-curricular activity on their CV than someone with a degree. The best thing I did at university was to join lots of societies and start learning coding to build their websites; that gave me a portfolio I could get an actual job with. In terms of app development, more and more people are self-learning and so you don’t need a degree at all, especially if you are going to freelance. How rigid is the hierarchy in your sector? Is it possible to accelerate your career with hard work and initiative? Absolutely - my own progression from Junior Developer to Development Manager (in the space of a year) was nothing to do with time at the company or ticking boxes, it was purely based on demonstrating I could do the job. One of my favourite anecdotes is something I started doing after my promotion to Senior Developer. The kitchen in our office was on the top floor next to the Sales Team and so whenever I’d go and get a cup of tea I’d chat to them and ask how their deals were going. One guy was showing me all his stats and pipeline deals and then stopped and said “wait, you’re not my boss!” - I smiled and said “not yet”. The point was that after a short period of time, I was able to appear more like a manager and this ended up with me getting a management job relatively quickly. Another important factor was that I used to spend a lot of time reading books about management whilst commuting. This helped as, once I had a team to manage, I already had a lot of systems to put in place to demonstrate I could do the job. Does your sector allow a healthy lifestyle, with time for family, exercise and relaxation? It really depends on the company you work for. As a freelancer, I have an awful lot of time as I choose when I work (and if I decide I want the day off, I just do it). When I worked for a company, there was no reason you couldn’t do all of these things but I had a fairly long commute which limited my free time. Does your job involve travel? If so, list some of the places you’ve visited. It can do although I prefer not to do too much; I rarely meet my clients in person as I find that working in their office or travelling for meetings is a waste of my time. Most of my current clients are based in the US which is great as then I only have to do the occasional Skype call - my favourites are the ones that I just speak with via email. That said, I have travelled to Norway, Sweden, and Spain in order to meet with clients or do presentations at conferences. There is a lot of potential for travel in the industry especially to the US. How do you regard earning potential in your sector, relative to other sectors that require similar levels of expertise? Are people in your industry underpaid, overpaid, or fairly paid? I think most people in my industry are overpaid. It’s very easy to drag a project out for a very very long time and get paid a large daily rate, especially when working for a large client. I had a lucrative contract with a big brand that was being paid at £500 per day and after 3 days of nothing but meetings I quit. They hired someone else and after 8 months they released an app that was utterly terrible and would take a developer around 1 week to build. Nice work if you can get it, but it’s not for me, which is why I won’t take on a project longer than 2 months. Describe the outlook for your sector? Is it growing or struggling? There’s actually two sides to it, depending on if you are working for a client or building your own apps. If you are doing client work, business is booming; everybody wants an app at the moment and so there are plenty of contracts available. However, if you want to build your own apps, it’s incredibly difficult to get recognised and very hard to charge the right price so you can recoup your development costs. It can be a real struggle. Have you had a mentor? If so, explain how you’ve benefited. List any books that have influenced your career. I started off doing app development thanks to the Apress series of development books - they were excellent at the time but I feel you’d be better off using online tutorials nowadays. Getting Things Done was a big influence for me in time management and my fairly ruthless approach to dealing with clients can be traced back to The Prince by Machiavelli, one of my favourite philosophy books. List any online articles or videos that have influenced your career. I don’t think I have any, apart from my own blog which seems a bit egotistical even for me. What are your “go to” websites for news and information on your sector? I follow a lot of websites via RSS. I’d say my top ones are Daring Fireball, 9to5Mac, MacRumors, and MacStories. I tend to get a general feel for the sector via Twitter, either in the few other developers that I follow or from people messaging me about interesting stuff. One piece of advice for someone seeking to break into your sector? Ignore everyone and do what excites you. There is no point in getting into an industry if you’re not passionate about it - if you are adaptable and willing to learn, you’ll succeed. Also, don’t use a recruiter (they’re awful) - apply for a position directly and demonstrate a lot of knowledge about the business. A couple of weeks ago I took the plunge and bought a Canary, an internet-connected personal security camera and air quality monitoring system. It has been working great so far and comes with a decent iPhone app that allows you to control the camera and have it activate automatically based on location. There are three different operating modes; armed, disarmed, and privacy. Whilst armed, you’ll get a notification when any activity is detected whereas disarmed will still record and store any video when there is motion but it won’t notify you1. Privacy completely shuts off the camera and microphone. For the simple reason that I don’t want everything that happens in my living room whilst I’m in it to be streamed to a 3rd party server, I have set the iPhone app to switch between armed and privacy modes; this means that if nobody is in the house, it automatically arms itself but will shut off the camera and microphone as soon as a family member gets back home. The problem with this is that the camera is then in privacy mode when we go to bed as obviously our phones are still in the house; if somebody breaks in, we won’t have any video evidence. I can open the iOS app and manually arm the Canary but Sod’s Law means I’ll probably get an intruder on the night I forget to do that2. My first thought was a scheduling system could be put in place to automatically arm and disarm the Canary if I’m in the house but the app doesn’t have that functionality and there is no public API. I then discovered that Canary have partnered with Wink, a platform that allows multiple devices to connect together so you can do things like have the lights turn on when motion is detected. This is really useful and does allow for the sort of scheduling I’d envisioned, but then I came up with a better solution; tying it into my existing HomeKit routine. I’ve blogged about HomeKit before and specifically about Homebridge which allows you to get non-HomeKit enabled devices to work with the system. Canary is not a HomeKit enabled device and with no open API it wasn’t possible for me to write a plugin. However, Wink does have an existing Homebridge plugin allowing you to control most devices connected to Wink via HomeKit. Unfortunately, HomeKit doesn’t support cameras and so neither does that Wink plugin. Back to the drawing board! Once you restart Homebridge, any of your Canary devices in Wink should show up in HomeKit automatically. You can then say something like “Hey Siri, lock the living room” to arm the Canary. I personally like to use HomeKit scenes which allow me to control the Canary automatically with my existing “good morning” and “good night” Siri phrases. I find this much more reliable than a schedule as I already use these phrases every time I go to bed and wake up in order to turn my lights on and off (whereas a schedule might turn the camera on whilst we’re still awake or turn it off before we get up). Hopefully in the future we’ll see a public API for Canary and support for cameras in HomeKit so I can make this slightly less hacky but it works for now and means I’ll no longer forget to disable privacy mode at night. If you’re interested in trying this setup yourself, check out the plugin on GitHub. The Divide #10 - Let us loop you in. Again. Later today, Apple will be holding a special event entitled ‘Let us loop you in’. I don’t often post my predictions for such events but I’m intrigued by this one as all rumours seem to suggest there is very little to announce. It is clear from supply chain rumours and other sources that there will be two hardware releases; an iPhone SE1 and an iPad Pro in a 9.7” form factor. Neither of these are terribly exciting nor worthy of a big event as they are things we’ve seen before in sizes we’ve seen before. It will not be easy to talk for 15-20 minutes on each of these devices as it’ll essentially be “this thing we made 6 months ago is now available in a smaller size you are familiar with”. So what else is there? Apple Watch bands seem to be a certainty with a black milanese loop, some new sports bands, and a NATO-style nylon band2. As watchOS 2.2 will likely be released today, there will probably be some shiny new watch faces which haven’t been present in the betas over the past couple of months. Speaking of software updates, there is also iOS 9.3 coming today (which was publicised heavily by Apple on a special website) and a minor update to the Apple TV OS both of which I expect to be showcased. Whilst that could be everything, it seems very lacklustre for an event; everything here could be done by press release which leads me to think there may be more. One of the main features of watchOS 2.2 is that you can pair multiple watches to an iPhone. This doesn’t seem like it would be necessary until there are two versions of watch hardware. In my own case, I would likely buy a 2nd generation Apple Watch Sport for everyday use and then use my 1st generation Apple Watch if I was dressing up. Whilst you could argue that some people may have multiple watches already, it seems like odd timing when this multiple watch support could have been earlier. There haven’t been any leaks from the supply chain but I believe that is because it would just be a case of changing the fully integrated chip inside. There would be no external changes, no massive shipments (like with iPhone), and even the packaging would likely give nothing away as the product name would be the same. I believe Apple could maintain secrecy of a chip change for the Apple Watch in a way that isn’t possible for other hardware updates. Some people are hoping for Mac updates, especially to the MacBook, MacBook Air, Mac Mini, and Mac Pro, but I do not believe these will make an appearance until WWDC at the earliest. All of them require significant hardware changes which would have leaked through the supply chain, especially as they’d all have exterior changes3. I’m in the market for a Mac Mini so I’d love to be wrong about this, but I think these updates are a few months away yet. This leaves the one thing that Apple are incredibly good at keeping completely secret; software. As nearly all of their software is written in Cupertino, they can keep a very tight lid on it and prevent leaks in a way that is almost impossible with hardware. There have been a few rumours that iTunes may finally be getting a makeover; whilst I think that is ultimately coming4, I think it far more likely that the Apple Music part of iTunes and the Music app on iOS will be getting minor design changes in order to avoid some of the many UX problems that have been evident since its debut last year. This would fit in well with iOS 9.3 which is otherwise fairly light on features5 for something that is likely to get a lot of stage time. Aside from that obvious issue, I have no idea what software they could be announcing6 but I’m fairly confident there will be something. The only other thing to mention is that I’m fairly confident Tim Cook will mention the current fight with the FBI over encryption at the beginning of the keynote. I also expect numerous mentions to privacy and encryption throughout. A note for those in the UK: Whilst Apple events typically happen at 6pm for us, this event falls within the 2 weeks after the US has moved their clocks back for Daylight Saving Time but the UK hasn’t. This means the event is at 5pm UK time. You can watch it on Apple’s website. You can hear me discuss the event in detail in Episode 10 of The Divide. 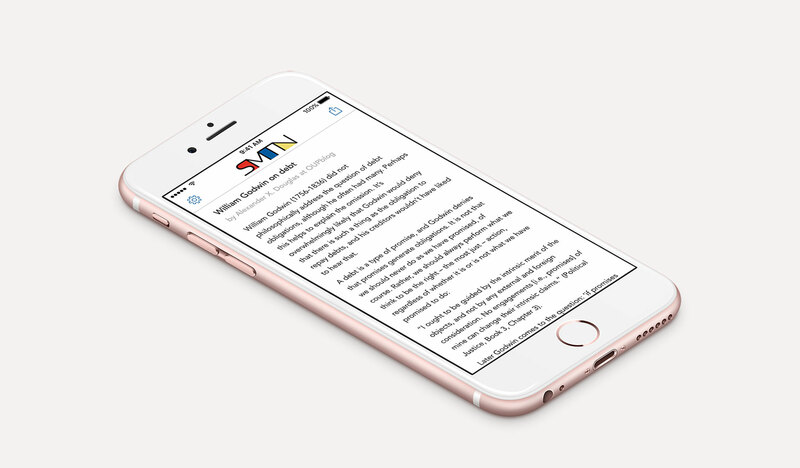 The concept is very simple; an app with curated articles that you read through at random with a simple swipe. No going back, no list no images, no videos, and no tracking; just fast offline access to interesting articles. I made a quick mockup and then I added some extra features such as the ability to share articles, alter the font size, and change screen brightness1. I also built a simple CMS so that the articles embedded in the app could be updated remotely. 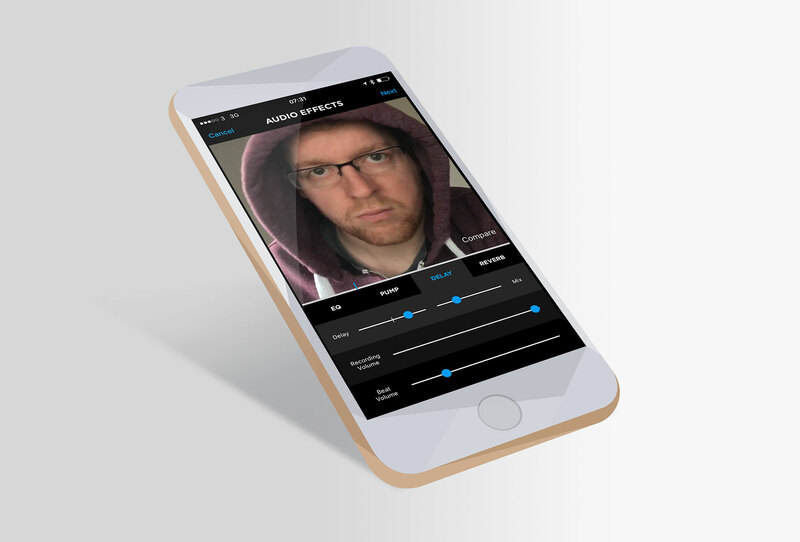 The app is built using Swift 2.1, runs on all devices with iOS 9 or above, and is optimised for all the various shapes and sizes including iPad split screens. As well as completely designing the app and the functionality, I was also asked to design the app icon and logo with a simple single sentence brief: “I admire the art of Mondrian“. I took inspiration from the work Composition II in Red, Blue, and Yellow and used the same colours and textures with lines to shape the letters SMTN. It was a fun design experiment and something a bit different for me! Show Me The Next is a free app and is available on the App Store. I’m very happy to announce that v1.3 of Music Tracker is now available as a free update. In this version, I’ve focused on speed and stability. The original scanning engine has been completely rewritten from the ground up and now runs faster and for larger libraries than ever before. Previously, the app would wake up once an hour and have around 30 seconds in order to scan the library, look for additions, changes, and deletions, and then save all of that information locally. 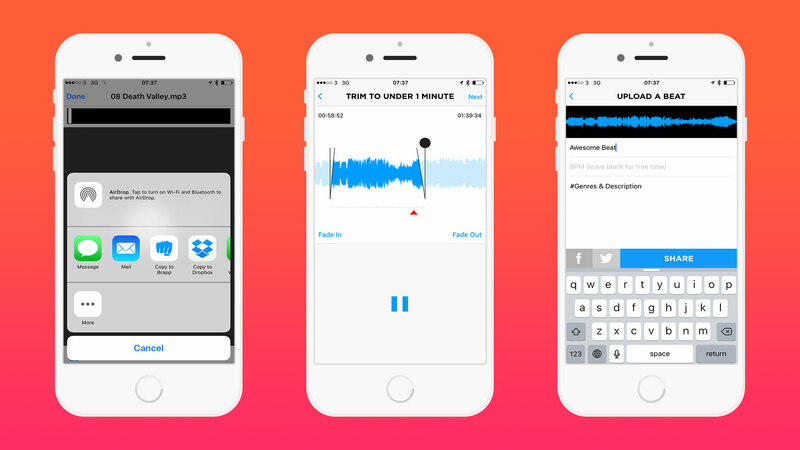 This worked great for small libraries on newer devices like the iPhone 6s but didn’t work so well on an iPhone 5s with a library of over 75000 songs. The reason for this is that iOS limits the amount of time an app can run in the background1; if the entirity of the process wasn’t complete in the time allowed, then it would simply fail. This meant that customers with large libraries were typically seeing no updates as the app wasn’t able to get through the entirity of the library within the 30 second window allowed. To fix this, I rewrote the scanning engine to be faster but to also work in batches. If iOS terminates the Music Tracker process (as it is taking too long) then the current state is saved and will pick up from where it left off the next time the process is restarted2. This means that huge libraries can now be scanned correctly as they are broken up over a few passes rather than trying to do it all at once. A nice side benefit of this is that the app can now handle older hardware3 which previously was too slow to handle even small libraries in a single pass. In order to accomodate this new multi-pass scanning engine, I’ve also changed the way in which manual updates are performed within the app. Previously you could “pull to refresh” on the main activity page; this gave you a little spinner icon and not much detail as to what was happening. In v1.3, there is a refresh icon in the top right hand corner that will take you to a new page which details exactly what is going on and shows a progress bar so you can see that it is actually working. If you have already purchased Music Tracker, you should see v1.3 as a free update within the App Store; you can check which version you have installed by going to the settings page within the app. 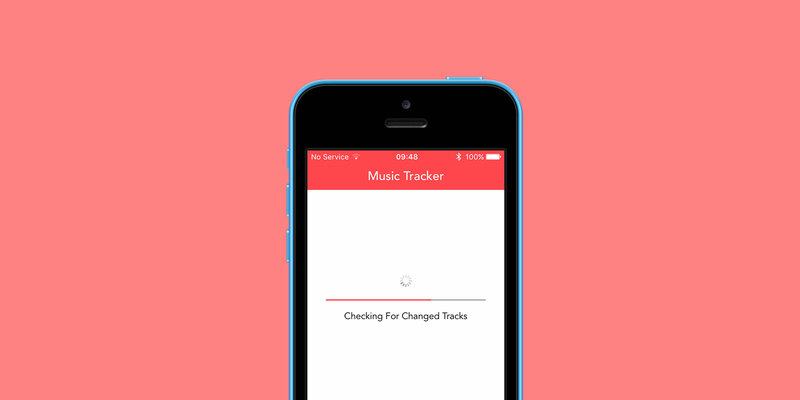 If you don’t yet have Music Tracker, you can get it on the App Store. 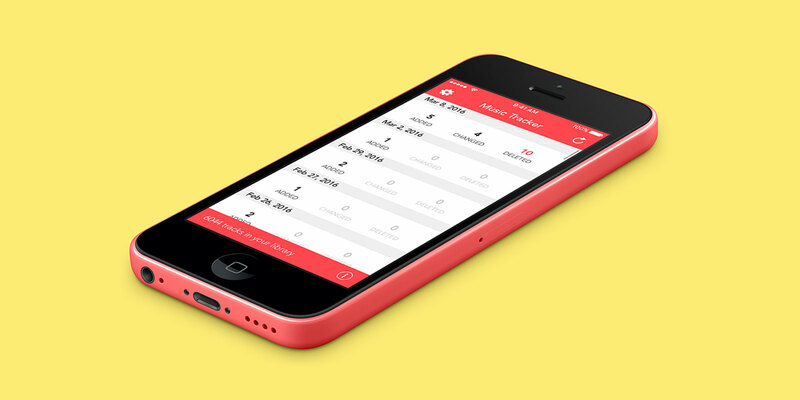 For more details about the app, you can view the official website at Dodo Apps. One final thing: on the advice of Dan Counsell, I’ve changed my press media kit to be a standard HTML page with full access to everything the old zip download contained including details of the app, screenshots, icons, and mockup images. This makes it easier for the many iOS journalists who have switched to using something like the iPad Pro as their main work machine which doesn’t handle zip files particularly well. You can check out the online media kit or download the media kit as a zip file. Over the last couple of months, I’ve been working with Brapp on their v2.0 release which adds a ton of new features for video makers, producers, and music lovers. For video makers, there is a huge improvement to the record and upload flow allowing for studio grade Audio FX such as Pump (compression), EQ, bpm centric Delays, and Reverb1 with adjustments occuring in real time. You can tap on the camera view to adjust exposure and light balance and the recording quality has been improved. Finally, you can now save videos locally complete with a watermark with your name and the beat creator if applicable. For producers, there is now a systemwide ability to import beats from any app that displays media files. Just tap the share icon and choose the new “Copy to Brapp” option. This will take you to a new editing page that lets you trim the beat to a minute or less in length and add optional fades in or out. The trim page was particularly difficult to build (as you have real time scrubbing and fades, waveform generation, and the ability to move the waveform before you even get to outputting these to a single audio file) but the end result works beautifully. The new profile system makes it possible to hide reposts on a profile so you can just check out their beats and videos. Search is more powerful than ever. It is easier to find new people to follow in the new Explore section. You can now see trending hashtags as they happen in Search > Videos/Beats. Certified. OGs on Brapp will now have the Certified icon by their name3. It is now easier to find beats that are used in videos. It is now easier to save beats you like with the new “Save Beat” button. You now get notifications on reposts, so you can see when your followers react to your reposts. Check out your Mug Shot in Profile > Settings. You can now see all the beats and videos you have Liked in Settings > My Likes. It is now easier to Invite friends to Brapp via Facebook or SMS. Lots of stability and speed improvements. Finally, previous versions of the app were written in Swift 1.2 using Xcode 6.4 and the iOS 8 SDK. With this build, I migrated it to Swift 2.1 using Xcode 7 and the iOS 9 SDK. This means, among other things, that there is now San Francisco rather than Helvetica Neue throughout! As ever, Brapp has been a really fun project to work on. I can’t say enough good things about the people behind it and I really believe this app is going to be a big deal. 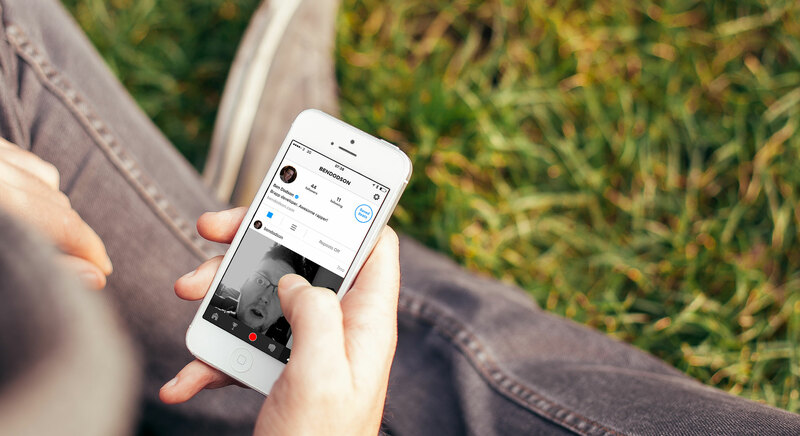 If you haven’t checked it out yet, you can get Brapp for free on the App Store. You can also read about the initial build and release and the v1.1 update last November.